Please download, (clean) install and test the new beta version of version 3.4 of The Endless Forest. Thanks to Act-3D, the dialog window problem should be resolved. There is another new feature in this update that we haven't mentioned before. We would like to test this now. This feature requires that we make a small change to your account on the server. So if you would like to participate in the test, send an email with your username and password to reception [at] tale-of-tales [dot] com. But before you do, make sure you have logged in at least once with that account using version 3.4! Thank you for helping us test this and making the game experience more fluent for everybody! Well... I probably should. But if this melts my account or something, I will be mighty upset about all this. The test only requires a small addition to your account's place in the database. It does not remove or replace anything. And the effect of the test will only last as long as the test. If you get sick of it before that, you can always simply uninstall the beta and play with the current version 3.31. Joined: 26 Jul 2010 Posts: 288 Location: Russia. Russia. Error. Okay, nothing changes. I'm really sorry guys. I don't think it's compatible with my comp. Thank you for giving me aa game I could enjoy while it lasted. But, There are stiil no bottom buttons. Everything else is wonderful. But, there are absolutely no bottom buttons. I can't play until it's fixed. It may be my comp, but... I have no clue. I am terribly dorry for wasting your time. There is nothing i can do at this point anymore. I am un-installing TEF from my comp. Thank fo the fun, while it lasted! Fiddlesticks, do you have two buttons on your action strip with a little yellow triangle on the bottom of them? Clicking those opens sets of buttons, blue and orange. Those buttons don't show any other way, I think to prevent the bottom of the screen from being too crowded all the time. If this isn't the problem, then I don't know what else it could be. A screenshot would really help to figure this out though. Well, I haven't noticed anything different when I log in or out of that account, so...I guess it's not bugged? Unless it is. Should I be looking for something in particular? When I'm zoomed in fully and I use the listen button, some pictograms stray from the sides and float on screen. I'm not sure if it's been mentioned before, if it hasn't I can post a screenshot. I'm also pretty sure I've seen nameless running around with my picto too, and I've definitely been connected properly when I've seen them. Downloaded the newest Beta, and I seem to have encountered something I thought might be worth mentioning. Now I don't know what the minor glitch is that you haven't solved yet, but one thing I found is that I can't connect using the "connect" option in the menu. I have to click "Connect automaticly' on, otherwise it won't connect. Now I'm one of those people who always connect manually, and it's not such a big problem at all, but I thought let's mention it. 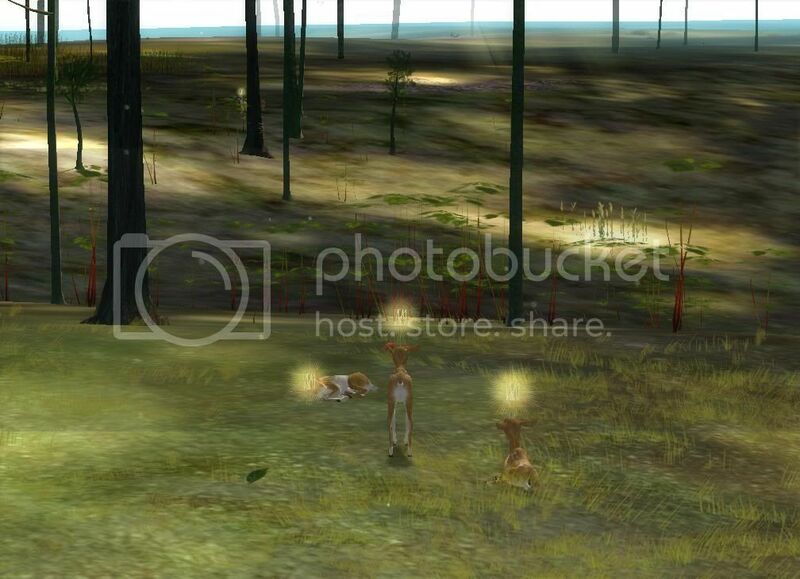 Though, the deer-appereance saving works amazing and I want to thank you for your great job on this game <3 Thank you! Yes, this is happening to me right now. There are two of the Me's right here, I am getting screenshots of them right now. The real me has flowers on her head! mkay. The Me's are running around the forest. I logged out then back in, and they changed where they were, and there was an ADULT me by the twin gods... though as I found it it disappeared. I have been chasing another Fawn me around for a little bit, and it is actually coercing others in to playing with it.... and it is also bleating and playing with me! So confusing. Adult me was spotted again, so it keeps disappearing and reappearing. It might be a nameless but I can also see one deer running around with Michael's pictogram too, who is clearly a nameless. I sort of found the same issue as Boomco. To me it looked like all the nameless had my own picto now, instead of the glitch we had last time, where they would all carry Michael's picto. I don't see Michael-nameless around anymore, just deer with my pictogram. It's confusing but it's a change. I also got a shot of myself with a nameless that had my picto. Button in the bottom left corner is green, and on the connection page it says I'm successfully connected.